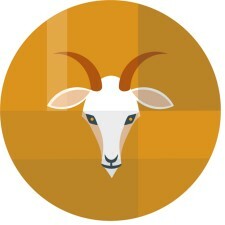 Although in retrograde, Saturn and Pluto saunter along in the sign of the Goat. Mercury and Venus in Aries don’t help the cause of Capricorn this Solar Cycle. What can happen with the retrograde planets is give Capricorn time to make adjustments in plans and diagrams and otherwise carefully-thought out strategies. Since Saturn rules Capricorn so much can be accomplished that otherwise would lay fallow. You can always count on the Goat to do what he or she does to make the world a better place. Stay out of their way.